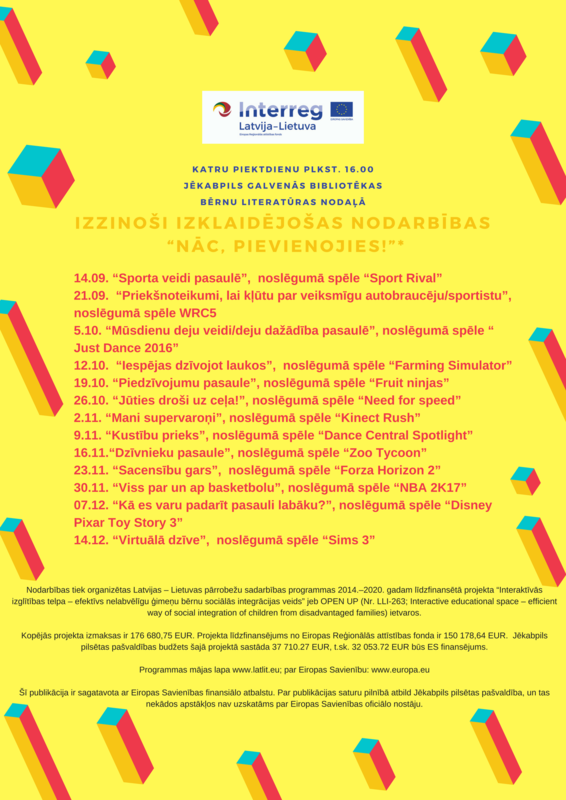 On Friday, on the 14th of December Jēkabpils City Principal Library invites children to the OPEN LESSON “Virtual Life” at Rīgas Street 212, Jēkabpils (the Children’s Literature Department of the Library). At the end of the lesson there will be game “Sims 3”. The language of the lesson – Latvian. OPEN LESSONS take place at the Library every Friday. Below you can see the poster on the upcoming events.